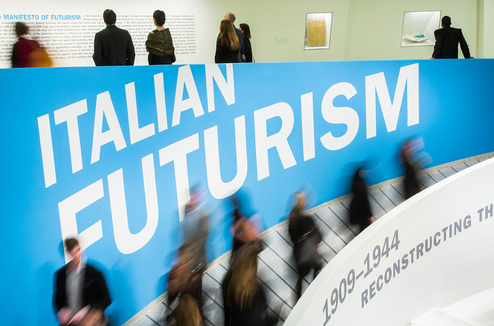 The first comprehensive overview of Italian Futurism to be presented in the United States, this multidisciplinary exhibition examines the historical sweep of the movement from its inception with F. T. Marinetti’s Futurist manifesto in 1909 through its demise at the end of World War II. 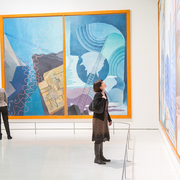 Presenting over 300 works executed between 1909 and 1944, the chronological exhibition encompasses not only painting and sculpture, but also architecture, design, ceramics, fashion, film, photography, advertising, free-form poetry, publications, music, theater, and performance. 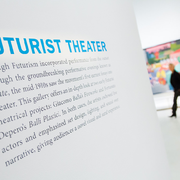 To convey the myriad artistic languages employed by the Futurists as they evolved over a 35-year period, the exhibition integrates multiple disciplines in each section. 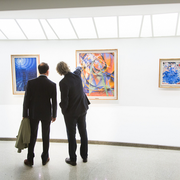 Italian Futurism is organized by Vivien Greene, Curator, 19th- and Early 20th-Century Art, Solomon R. Guggenheim Museum. 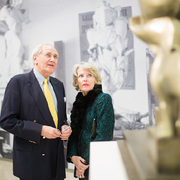 In addition, a distinguished international advisory committee has been assembled to provide expertise and guidance. 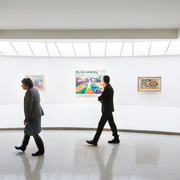 Support is provided in part by the National Endowment for the Arts and the David Berg Foundation, with additional funding from the Juliet Lea Hillman Simonds Foundation, The Robert Lehman Foundation, and the New York State Council on the Arts. 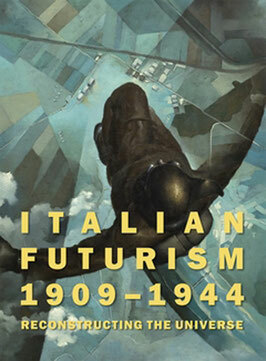 The Leadership Committee for Italian Futurism, 1909–1944: Reconstructing the Universe is also gratefully acknowledged for its generosity, including the Hansjörg Wyss Charitable Endowment; Stefano and Carole Acunto; Giancarla and Luciano Berti; Ginevra Caltagirone; Massimo and Sonia Cirulli Archive; Daniela Memmo d’Amelio; Achim Moeller, Moeller Fine Art; Pellegrini Legacy Trust; and Alberto and Gioietta Vitale.